Reports on mysterious disappearance of Saudi Crown Prince Mohammed bin Salman from public ceremonies continue to pour in. 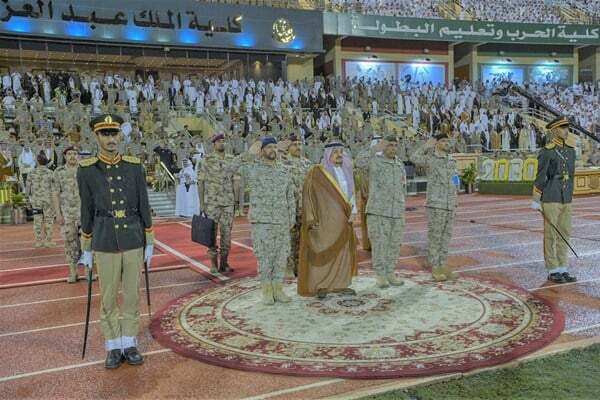 In a rare incident, Riyadh’s ruler Faisal Bin Bandar Bin Abdulaziz attended a cadet ceremony of Malik Abdulaziz Officer Academy instead of Bin Salman, the crown prince and defence minister of the Arab country. No reason has been given yet by Saudi Arabia on the absence of the crown prince from the ceremony which should normally be held with defence minister in attendance. The unusual disappearance has once again raised doubts and speculations on the health conditions of the Crown Prince, Fars News Agency said. Earlier, the Tehran-based newspaper Kayhan said it has obtained a copy of a report by an Arab intelligence apparatus that claims bin Salman could be killed in a shooting incident late April. “This intelligence service in a confidential report to the country’s top official insists that at least two bullets have hit bin Salman in April 21 clashes in Riyadh and it is even possible that he is dead,” said Hossein Shariatmadari, the daily’s editor-in-chief, in an editorial published on Thursday. The editorial came following a similar report by Fars News Agency on Wednesday which raised questions about the whereabouts of the 32-year-old heir to the Saudi throne, known to be highly active on the political scene. The report said Bin Salman hadn’t appeared in public since April 21, when videos were posted online in social media purporting to show areas around royal palaces ringing with heavy gunfire. Saudi authorities firmly denied any major security breach, saying Saudi forces had “dealt with” an unauthorised toy drone near the royal palaces. But footage circulating on social media showed heavy gunfire, tanks and armed vehicles around palaces, raised speculations about a possible coup attempt or retaliation by the House of Saud’s adversaries. As a proof, Fars News Agency pointed to the fact that bin Salman made no media appearance during the April 28 visit of the newly-appointed US Foreign Secretary Mike Pompeo to Riyadh, his first foreign trip as the top US diplomat. This is while the state-run outlets used to publish images of meetings in Riyadh between bin Salman and former US secretary of state Rex Tillerson. Meanwhile, certain figures close to the Saudi royal family have tried in the past few days to publish photos of the Crown Prince, claiming that they are new images and reject the speculations surrounding his disappearance. However, such photos could have been taken before the April shooting, and thus cannot prove the rumours false.